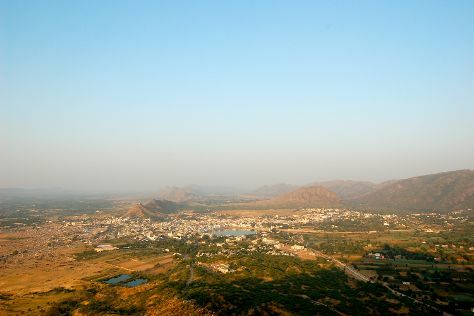 Although usually visited on a day trip from the nearby Pushkar, the lively, often chaotic city of Ajmer has its share of sights. On the 13th (Sat), explore the activities along Pushkar Lake, then see exotic creatures in open habitats at a safari tour, and then take in the spiritual surroundings of Dargah Shariff AJMER. Here are some ideas for day two: contemplate the waterfront views at Anasagar Lake, then take in the spiritual surroundings of Brahma Temple, then take in the spiritual surroundings of Savitri Temple, and finally soothe aching muscles at some of the top local wellness centers. To see ratings, photos, other places to visit, and tourist information, read our Ajmer journey planner. Finish your sightseeing early on the 14th (Sun) so you can travel back home.